A fine of £120 was imposed on a 42-year-old man last Wednesday at Craigavon Magistrates Court for using a mobile phone while driving. Marian Siladi, Dill Avenue, Lurgan, was also given three points and ordered to pay a £15 offender’s levy. 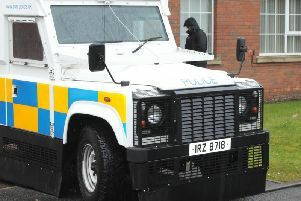 The court heard that on January 24 this year police in the Shankill area in Lurgan saw the defendant drive out of Dill Avenue into Charles Street. He had a mobile phone in his right hand and it was held to his ear as he turned the corner using only his left hand. When police spoke to him he held his right hand down beside his legs. Siladi admitted the offence through solicitor, Mr Conor Downey.